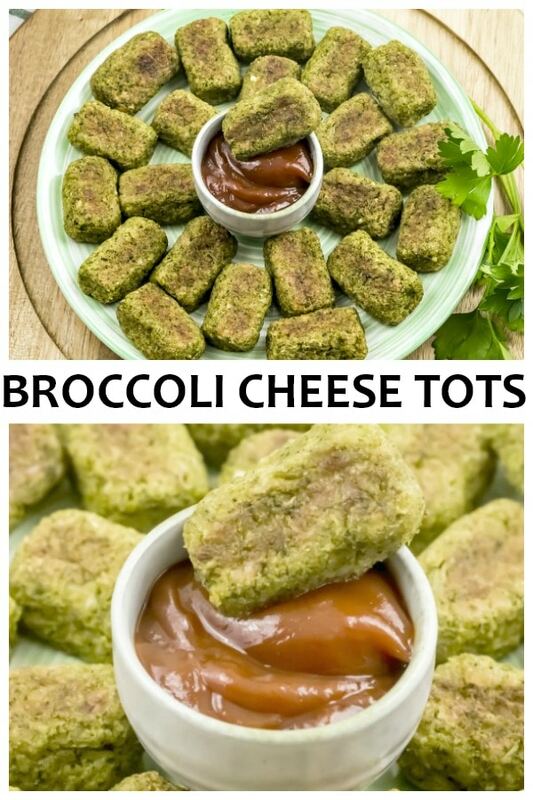 Broccoli Cheese Tots are a healthier version of tator tots and also a fun way to get more veggies onto your table. This is a great Weight Watchers recipe too! 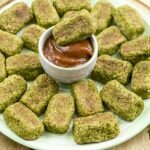 If you start giving your kids these veggie packed broccoli cheese tots when they are young they won't miss the regular ones at all! I am a dipper…not a skinny dipper, LOL. It is food that I like to dip…into ketchup, sauces, dressings, etc. I have to be really careful because I can comsume more calories by dipping foods than the foods themselves have!! These Broccoli Cheese Tots have a lot of flavor and you can get by without dipping them unless you are hooked on ketchup like me, LOL. Take the bag of frozen broccoli and put it into a strainer . Rinse it off and get rid of the excess liquid. Add all of the ingredients (except the non-stick cooking spray) to your food processor and pulse it until it resembles a coarse sand. Use a tablespoon measuring spoon to scoop out the broccoli mix. Shape each tablespoonful into an oval “tator tot” shape. Place these on a baking pan that has been sprayed with non-stick cooking spray. 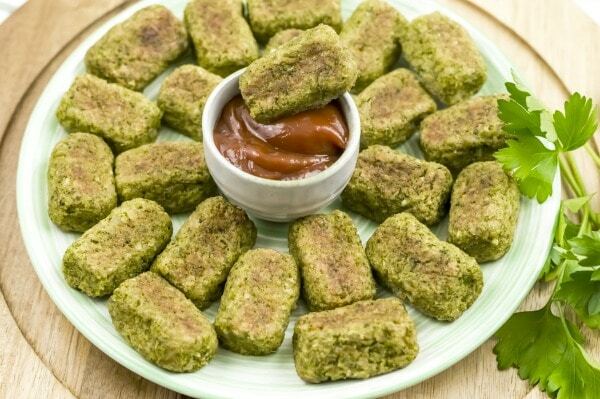 There should be 24 broccoli cheese tots. Bake for 10 minutes. Turn tots over and bake for 10 more minutes. Serve warm with your choice of dips! 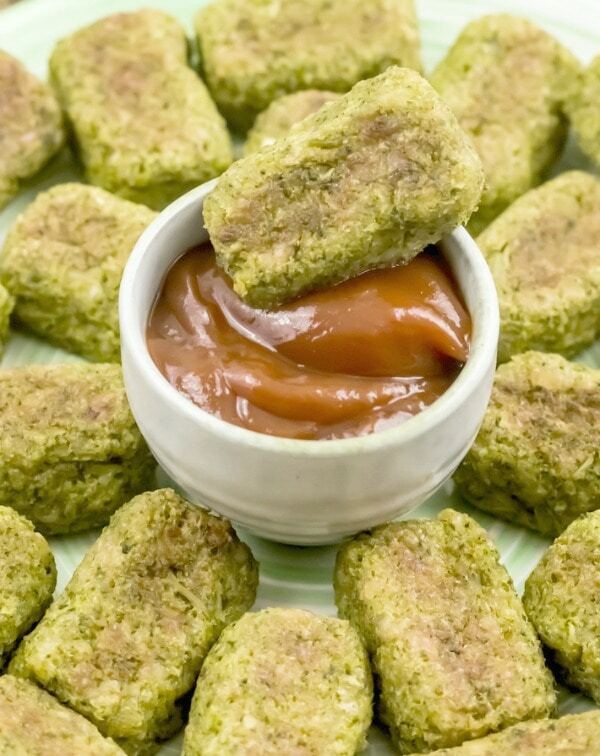 These Broccoli Cheese Tots are a great side dish or snack for Weight Watchers WW. This makes 24 tots and each serving is 3 tots. There are 2 Freestyle SmartPoints for 3 tots! Not too bad!! I wouldn't feel very deprived eating a few of these tots with a turkey burger, would you? These would also be something to take to a cookout or party. What Recipes Do You Sneak Broccoli Into? One of family favorites is Broccoli Cheese Soup…but I don't think I am really sneaking anything since broccoli is in the name! I have definitely added broccoli to soups before especially when I have some leftover in the fridge. Homemade baked Broccoli Cheese Tots are great as a side dish or even as an appetizer. Packed full of veggies and flavor! Thaw the frozen broccoli and drain it over a mesh strainer to gt rid of the excess liquid. In a food processor, combine the broccoli, garlic, Parmesan and cheddar cheeses, seasoned breadcrumbs, the egg and salt and pepper. Pulse it to resemble a coarse sand. 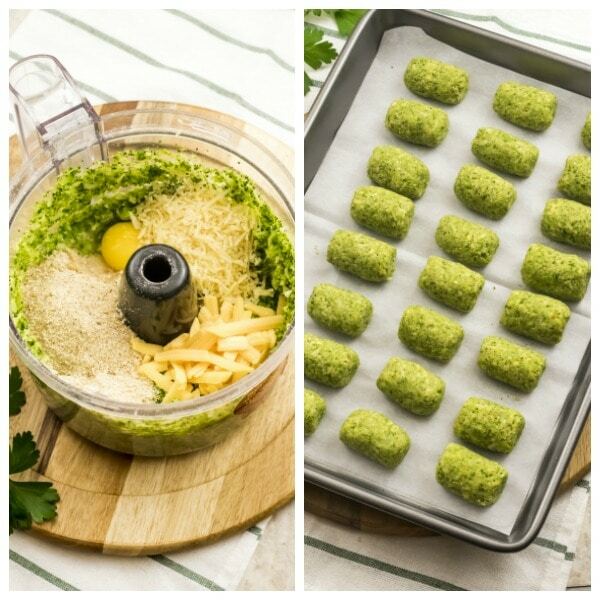 Taking a tablespoon measure, scoop out the broccoli mix and shape it into a oval 'tater tots' shape. It should yield 24 tater tots. Bake for 20 minutes at a 400 F oven, turning the tots after 10 minutes. If you are following Weight Watchers this recipe is 2 Freestyle SmartPoints for 3 tots.